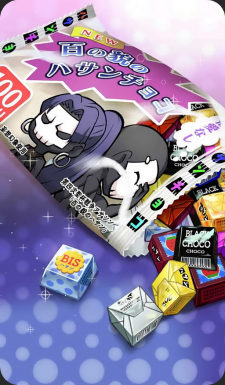 Valentine's Days chocolates from the Hassan of the Hundred Personas. A medley of big and small, good and bad. Bite-sized things that look like chocolates are packed in. A bag full of dreams. It may look store-bought, but everything here is handmade by Hassan. This page was last modified on 6 April 2019, at 08:37.